Since 2009, the Community Foundation has invested more than $1.4 million to support high-quality, early learning in Monroe County. The Community Foundation of Bloomington and Monroe County has launched the Thrive by Five endowment campaign to grow our community’s capacity to serve more children. You can help make high-quality early childhood education a reality for more children in Monroe County. With a goal of $1 million, funding will be used to sustain and support Monroe Smart Start‘s early learning initiatives. Make a gift to give our children the tools they need to succeed in school and in life! With a generous $100,000 gift, Elliot Lewis and his family have established the Lewis Fund for Early Childhood Education, the official endowment of the Thrive by Five Campaign. Gifts to this fund will be invested by the Community Foundation, so they grow over time. Each year, a percentage will be distributed to support Monroe Smart Start initiatives. Your gift to the Lewis Fund endowment will support the needs of young learners today, tomorrow, and forever. 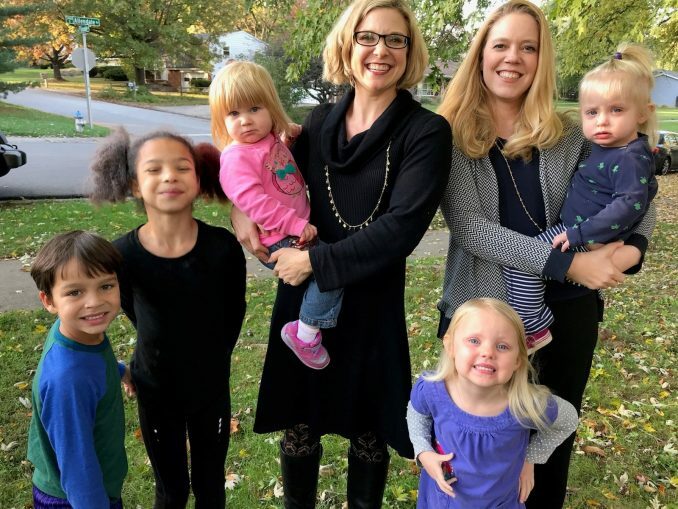 Thrive By Five Campaign co-chairs, Jessika Hane and Jessica Merkel, are leading the charge to invite the Monroe County community to join together so every child enters kindergarten prepared for school and prepared for life. Thank you to all of these Monroe County early learning leaders for working with us to ensure every child can thrive by five! To make a gift to one of these funds, go to the Community Foundation’s Donate Now website page. Under Gift Information, “Select Fund Name” from the drop-down menu. If you would like to establish a fund for early learning, contact Meagan Niese at meaganniese@cfbmc.org or (812) 333-9016.